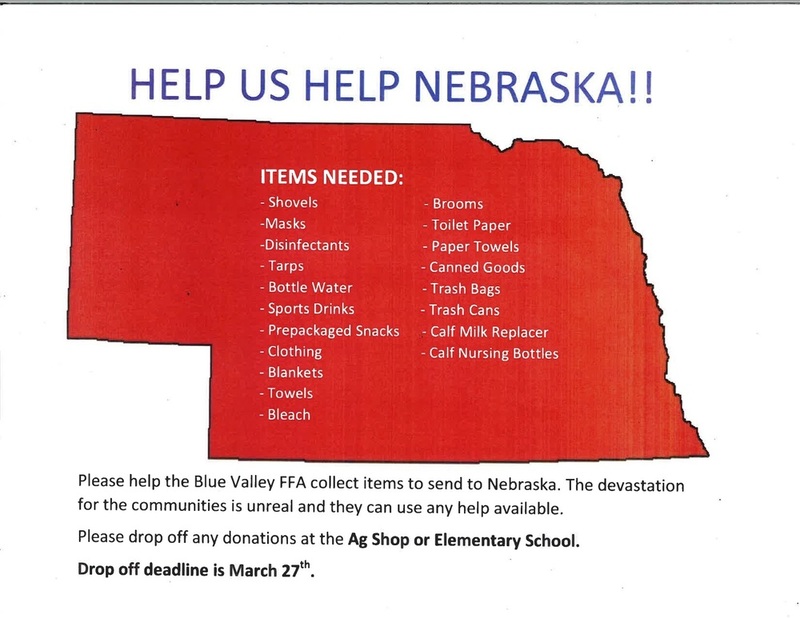 Please help the Blue Valley FFA collect items to send to Nebraska. The devastation for the communities is unreal and they can use any help available. Please drop off any donations at the Ag Shop or Elementary School by March 27th.